Phlox (Phlox drummondii) wildflowers blooming off of Sweet Home Rd. southwest of Seguin, Texas. Photo taken by Mike Jones on February 26, 2016. Healthy rains in the fall and early winter put Texas on track for a spectacular 2016 spring wildflower season, but spotty rain and unusual warmth recently could dampen displays in some areas. Regular rains since fall set the stage for many wildflower plants to pop up early this year and wait for warmth and moisture to bloom. Rain finally arrived in some areas the last week of February and the places it fell, which can vary even within a city, should enjoy excellent displays. Blooming will be less spectacular where the rain hasn’t been steady. DeLong-Amaya adds that Texas bluebonnets typically get out of the gate early and the Center already sports a few bluebonnets in bloom, thanks in part to that warmer-than-usual winter. Elbow bush are already blooming at the Center. And around Austin, bluebonnets, golden groundsel, and spiderwort are flowering. Following recent rain, other wildflowers in the Austin area are beginning to bloom, including ten-petaled anemones (also called windflower and ten-petal thimbleweed), Texas star and baby blue eyes. 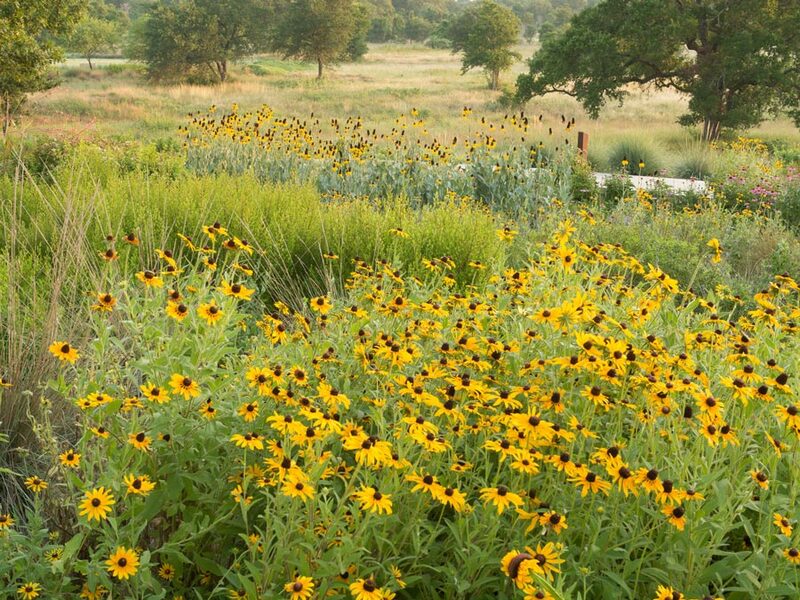 San Antonio enjoyed extended blooms of fall wildflowers due to rainfall and warm temperatures. Late February rains, though light, should result in a strong spring blooming season there. Some bluebonnets had already bloomed in February — more than a month early — along with shrubby boneset, camphorweed and crucita, purslane speedwell and windflower. Blooming phlox species and Englemann’s or cutleaf daisies also have been spotted south of San Antonio along I-37, just north of Pleasanton. Near Corpus Christi, two good places to see wildflowers include the cemetery off Picton Lane in Rockport and the Linda S. Castro Nature Sanctuary in Fulton. Shepherd’s needles are blooming along Buffalo Bayou trails just west of downtown Houston, along with scarlet sage, Indian blanket and tall poppy-mallow, or winecup. Carolina jessamine blooms can be seen along Kingwood Drive in north Houston. The Big Bend area saw early spring rains and abundant Big Bend bluebonnet plants as early as late January, particularly along River Road. Those should be bursting into bloom now that temperatures are warming up. Scattered desert marigold, green false nightshade, and bicolor fanmustard bloomed along River Road starting in early February. Around Alpine, Gordon’s bladderpod are putting on a great show, and Wright’s verbena has been spotted in bloom since mid-February. Last summer’s drought could be a blessing in disguise in some areas, DeLong-Amaya noted, opening up niches for early spring wildflowers such as bluebonnets and Indian paintbrush by causing other species to die back. Any possible cold snaps are also unlikely to damage native wildflowers already putting out buds, said DeLong-Amaya. She said most early bloomers can handle a frost, and only an unusually late and hard freeze will knock back flowers, and those can be replaced by others that bloom in their place. Wildflower sightings provided by: Andrea DeLong-Amaya, horticulture director at the Lady Bird Johnson Wildflower Center; Patricia Manning, professional botanist, Alpine; Lu Hollander, Brenham/Washington County Convention & Visitors Bureau; Suzzanne Chapman, Mercer Arboretum and Botanic Gardens; and Rhoda Poenisch, Olivia Sievers Ross, MJ Hansen, and Jerry Morrisey, chapters of the Native Plant Society of Texas. 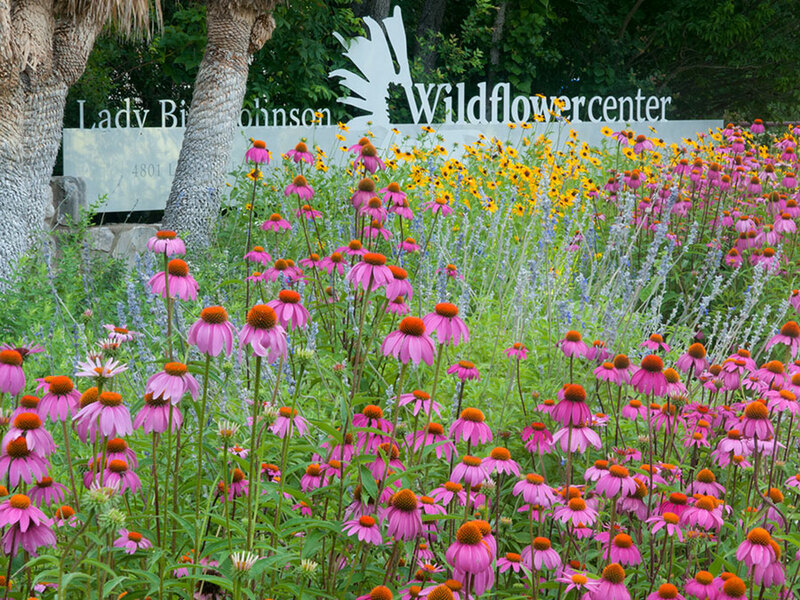 For wildflower bloom updates, visit sites such as http://www.wildflowersightings.org, http://www.wildflowerhaven.com and http://bluebonnetlove.com. To learn details about wildflowers nationally, visit the center’s native plant guide: https://www.wildflower.org/plants.